The Howl is a true surrealist cult classic, filled with eye-shattering imagery, visual jokes, impossible characters, riotous comedy, and punk rock music well before its time. 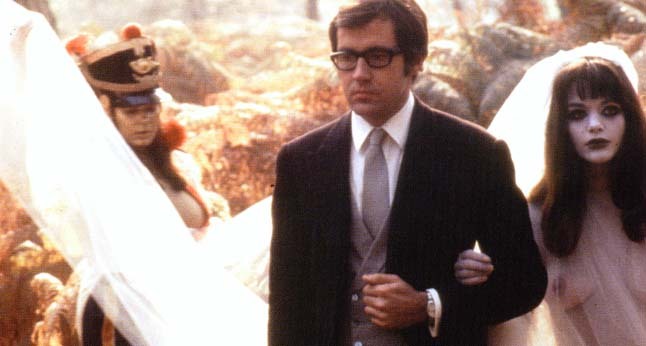 A young bride escapes her wedding ceremony with a stranger and together they set off on an epic journey though increasingly bizarre lands. 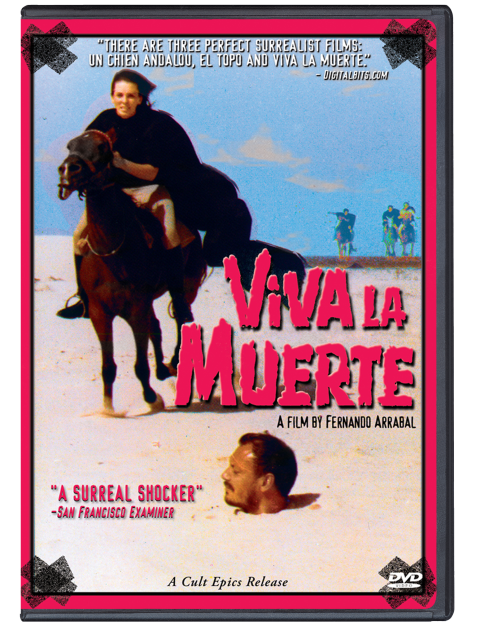 They encounter talking animals and mournful exhibitionists, converse with a discoursing rock, journey through a surrealist’s psychedelic hotel, instigate a prison riot, escape from naked cannibals living in a tree and battle a wind-up midget dictator! 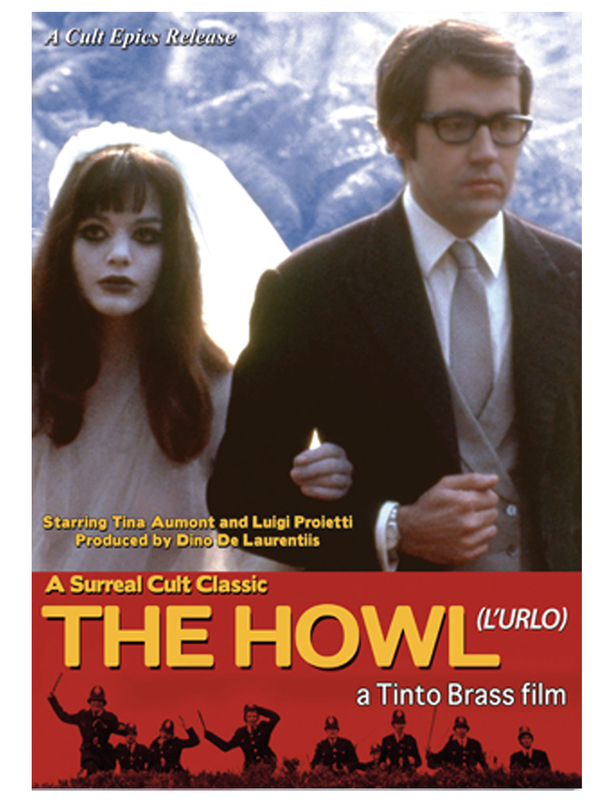 Featuring the legendary Tina Aumont (Casanova) as the bride and Italy’s great clown Luigi Proietti as her make-shift partner, The Howl challenges authority and convention in the true anarchist spirit of the 1960s. Filmmaker Tinto Brass, famous for his later erotica, here presents one of the greatest works of the era – along with A Clock Work Orange, a film he was asked to direct, but instead made The Howl; one of the strangest films ever!